2m cloverleaf power cable C5, UK 3 pin plug to C5 cloverleaf mains lead 100 Pack. Trade pack 100 x 2m cables. 1.8m Euro Schuko to C13 Kettle Plug Mains Lead. Voltage rating 240V AC. 10A C13 IEC connector. 16A Schuko Euro connector. Colour black. Length 1.8m. 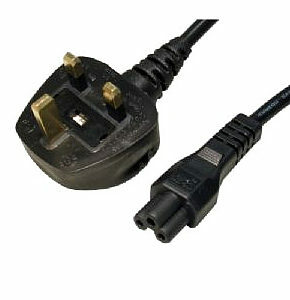 The C13 IEC connector is a 3 pin plug often found on devices such as computers, often referred to as a kettle plug. 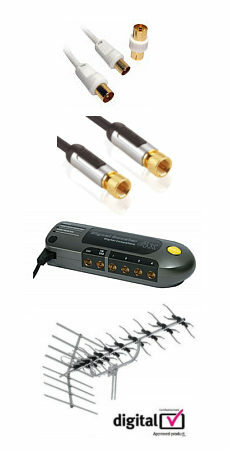 10m Figure 8 Power Lead - Power Cable, UK 3 pin plug to figure 8 connector. Voltage rating 240V AC. Cable type, 2 Core. Colour black. Length 10m.